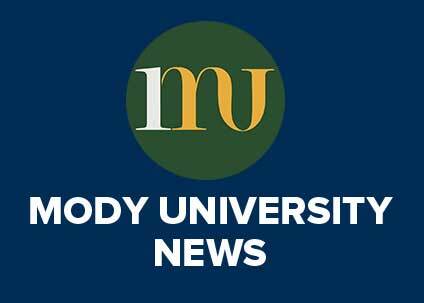 Mooting, a very intrinsic part of life in law schools, is given great priority at Mody University of Science and Technology, Lakshmangarh. 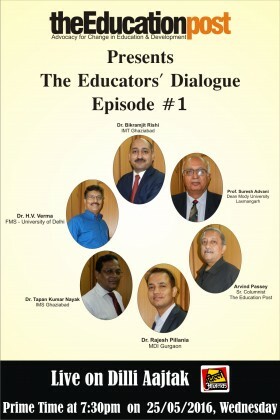 It is a part of not only the co-curriculum but also the academic system within the University. 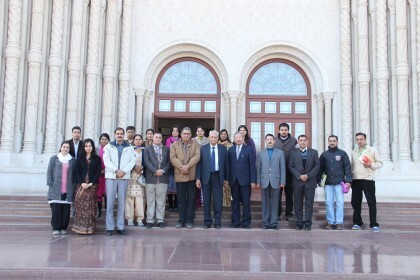 All moot court related activities are regulated by the Moot Court Committee in the University, which apart from having faculty members, has students selected from across the five years as members. The Moot Court Committee conducts an annual Intra University Moot Court Competitions, where the law students of the University compete among themselves and distinguished judges from outside the University are invited to judge the rounds. These Intra University Moot Court Competitions serve as the criterion to allocate to the students, national and international moot court competitions where the University is invited to participate. 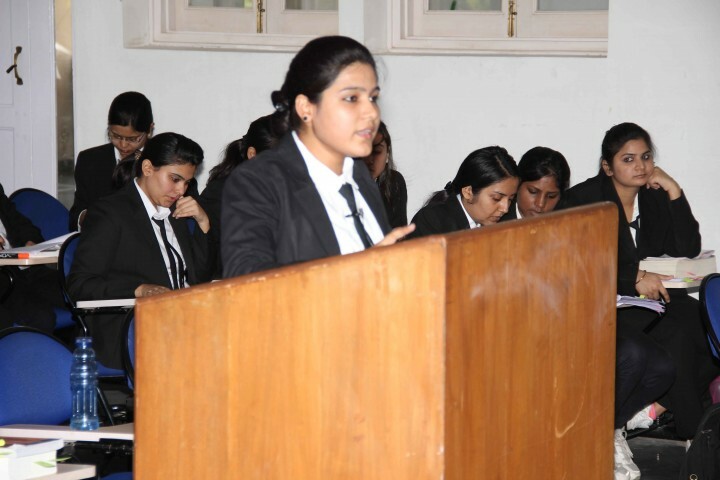 The Intra Moot Court Competition was held at Faculty of Law, Mody University on 29th and 30th September respectively. 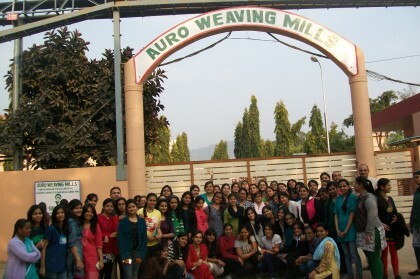 On 29th September, semi-finals were held in which 14 best teams were selected out of 28 teams. 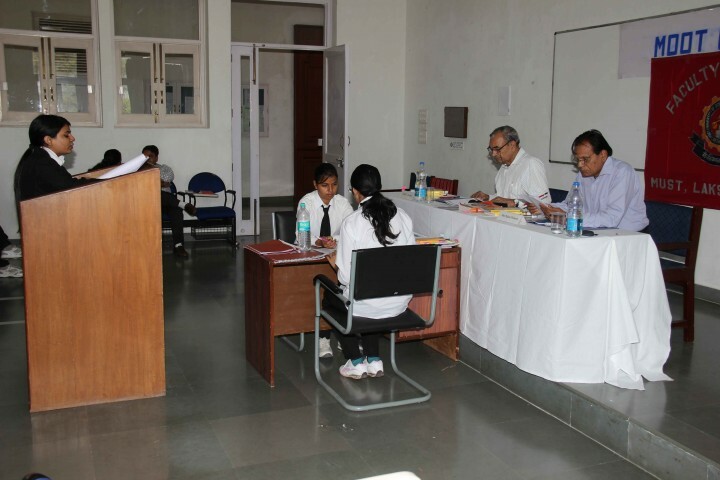 On 30th September, final round of the Moot Court was conducted which was adjudged by two profounded Professors, Prof. S.C. Pandey and Former Judge, Consumer Forum, Rajasthan Sh.Ratan Prakash. They asked questions to each team on the basis of their memorial and their speaking skills. In the end, 10 mooters and 5 researchers were selected on the basis of their oratory skills and convincing power. Thus, this competition was successful to hone the skills of the students in order to make them better equipped to deal with the challenges of being a lawyer in the professional fields and perfect the art of advocacy.